SkyDrive continues to be a growing leader in securely storing and sharing documents across the internet. 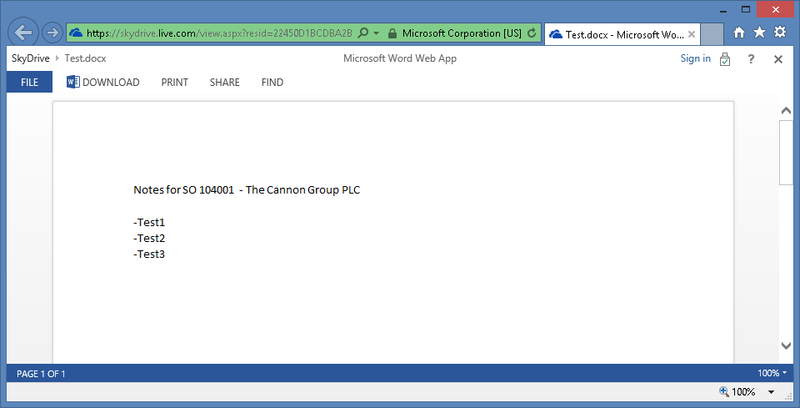 Integrating sharing of documents on SkyDrive with Microsoft Dynamics NAV is much simpler and let’s have a look how. *There are no additional add-ins or code required for integration. Step 5: Create new Link from Actions and paste your SkyDrive shared link. Click Save. It is not recommended to share links publicly. Multiple documents can be linked to the same record. Editing Office Documents requires a Microsoft Office subscription. Essentially a SkyDrive Pro account is recommended to share links, however any Microsoft Account can be used to access and store documents on SkyDrive.